StarBoard Accessories | 2×3 S.A.
60 × 90 cm size, 30 sheets. High quality paper. 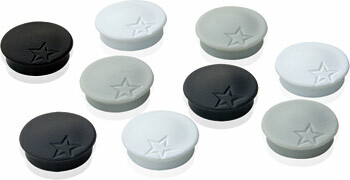 Four holes to grip pads. Squared and smooth pads available. 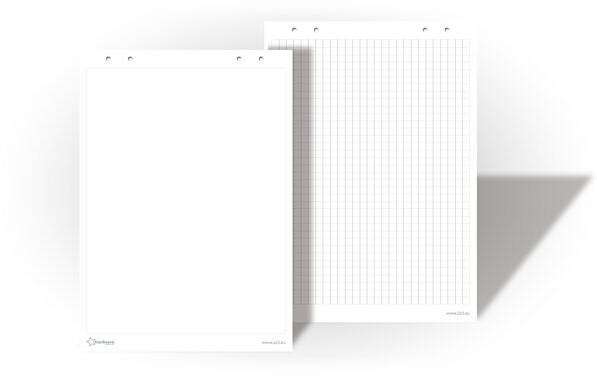 Perforated sheets for easy detachment. Individual foil packaging. Highest quality whiteboard markers, with slow-flow ink system. One set contains: 4 markers in red, green, blue and black. Ideal quality and high efficiency, perfect dry-wipe properties. Round tip. Alcohol based ink. Maximum line length: 120 m.
Size 25 mm, colours: white, grey, graphite, black. Covered with special anti-scratch layer. 12 pcs.